At NBC News, preparations for the coverage of Prince Harry and Meghan Markle’s wedding began before the couple even set a date. “In fact, at one point, we were worried those two were never going to make an announcement!” explained Rashida Jones, SVP of specials for NBC News. When the officially announcement was finally made Nov. 27, 2018, plans could start to solidify — but there were still a lot of unknowns. At the time the venue hadn’t been set, so the wedding could have been at Windsor, St. Paul’s or a completely different location altogether. This meant the NBC team had to start planning for all possible scenarios for coverage. “We started having serious planning meetings the day the announcement was made and started sending people to the UK a few days later,” said Jones. The locale of the wedding was finally firmed up by February 2018, but Jones and her team had already started the initial planning for this as a venue on a contingency basis, which meant they could quickly make decisions once Windsor Castle was announced as the choice. “We did a lot of research about prior royal events in both towns so we had a good sense of what to anticipate in either scenario. I think our early planning allowed us to secure our main location, which is breathtaking,” said Jones. For the network’s primary setup, NBC took over the entire roof of the MacDonald Hotel, which offers a wide view of the sprawling castle complex and surrounding town. Much of the roof has been enclosed in a makeshift structure to help shelter crew and talent from the elements. This allowed enough space for both the “Today” team, which are heading up the network’s pre-wedding and wedding coverage, while other spots on the roof are set up for other NBCUniversal franchises. 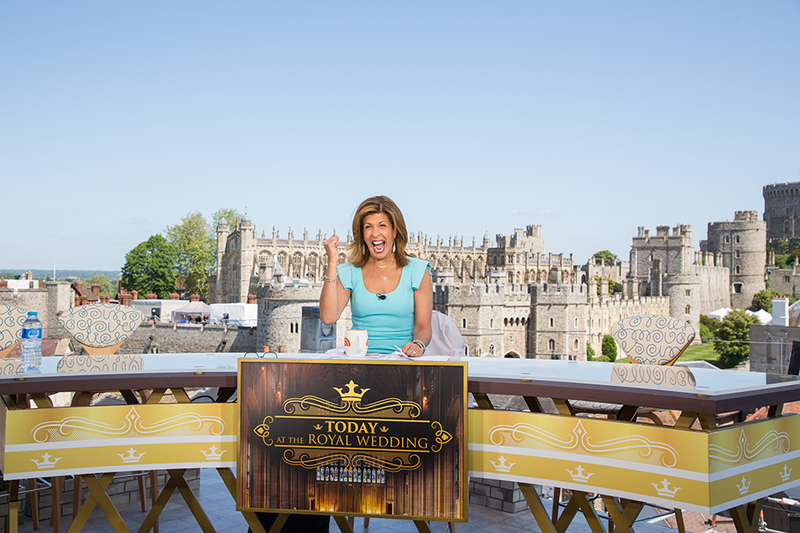 The primary location uses a traveling anchor desk NBC has used for other events, with the X-shaped legs changed to gold and a printed graphics displaying the network’s royal wedding coverage branding. 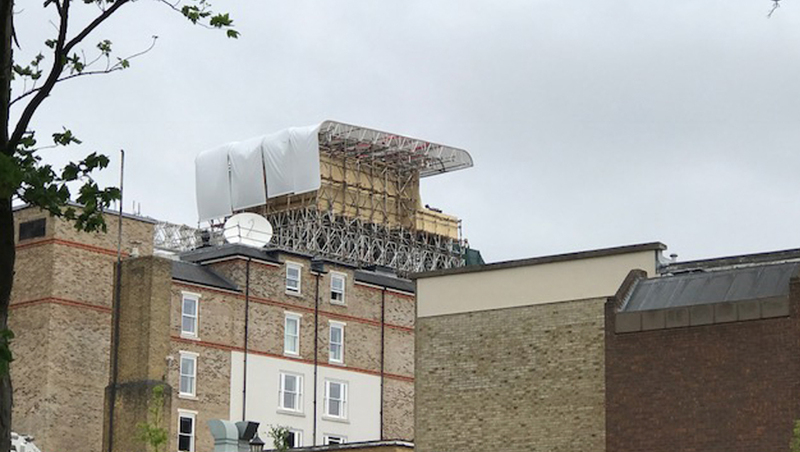 NBC also has an alternate rooftop setup just across from the castle that MSNBC will use, which will afford a closer view of the couple as they leave the ceremony for a public procession around the town before returning to the castle grounds for the reception. Settling on the MacDonald Hotel was a long process, explained Jones. “The moment we knew Windsor was our location, we sent a strong subset of our specials team to Windsor to work with our London team to firm up our options. They all fell in love with the view from the MacDonald and worked pretty quickly to secure the location,” she explained. The team scouted various locations throughout the town just to be sure they weren’t missing any good options. While the MacDonald Hotel had never hosted a full fledged remote broadcast setup, the hotel staff worked hand in hand with NBC on the thousands of logistical issues. 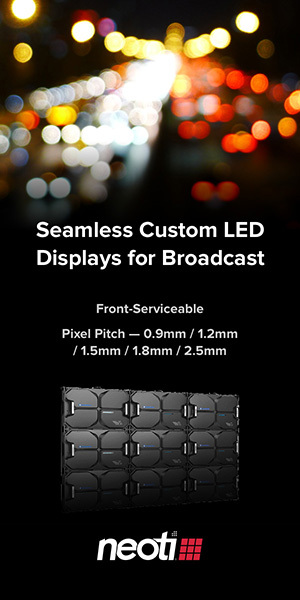 The same NBC engineering team that sets up broadcasts from the farthest corners of the world worked for months to handle the technical aspects of the broadcast setup. “Everything is wired in a way that all comes back to New York, so the control room team here at 30 Rock has their pick of camera shots and angles,” explained Jones. Jones and her team also relied 100 percent on the network’s London bureau and its local team. “With this event happening in their backyard, they were on the front lines of the planning and coordination. They cultivated the relationships with the stakeholders on the ground and did a lot of the legwork to make sure all of our entities were covered. And they are being the most gracious hosts as dozens of their colleagues descend upon the UK for this week’s coverage,” she said. NBC’s coverage of the royal wedding will start at 4:30 a.m. eastern time Saturday, May 19, 2018, with Savannah Guthrie and Hoda Kotb along with Megyn Kelly and Kathie Lee Gifford. “Today at the Royal Wedding” wraps up at 11 a.m.